This howto shows you, how you can use pydio (formerly Ajaxplorer) in a multi-server installation of ISPConfig 3. You have to set up ISPConfig 3 on your servers. Best way to do this is to follow our "perfect server" tutorials. You have to decide on which server you want pydio to reside. 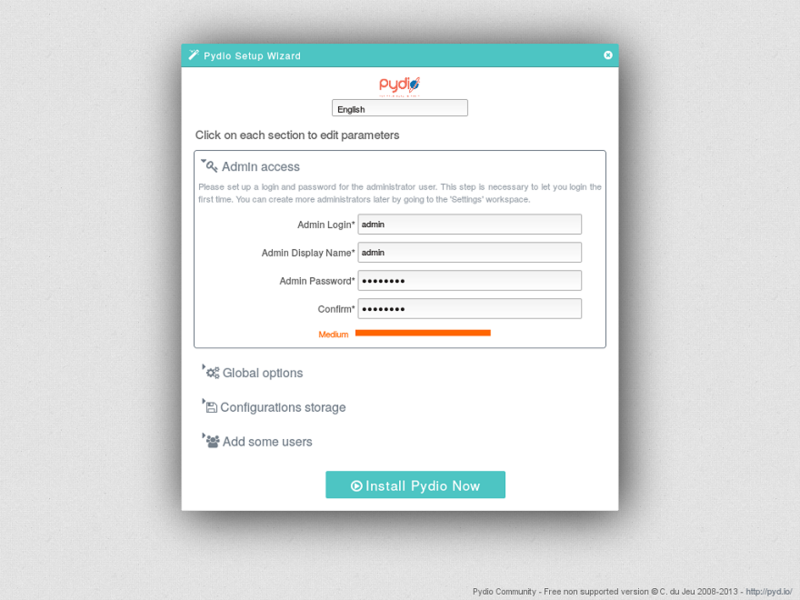 This will be the server where your customers access the pydio interface. 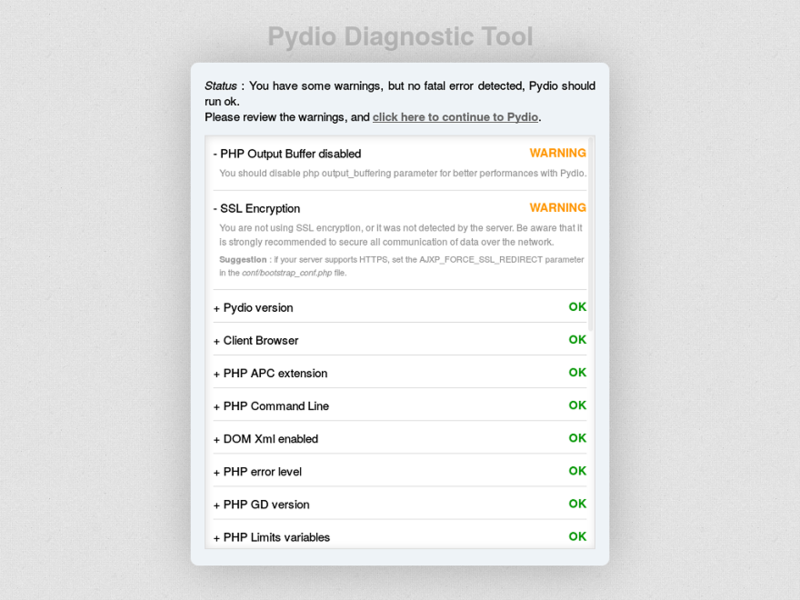 We will install the pydio software in a newly created web. In this howto we use a two-server-setup where the first (master) server is server1.mydomain.com with ip 192.168.10.10 and the second (slave) server is server2.mydomain.com with ip 192.168.10.11. We will install pydio into a subdirectory /webftp of our domain myftpdomain.com which lies on the slave server. Please replace these data by the ones from your servers. You can skip this if you have already created a website or if you want to install pydio in a sub directory of an existing site. Create the website by logging in to ISPConfig as client or admin and go to the "Sites" tab. 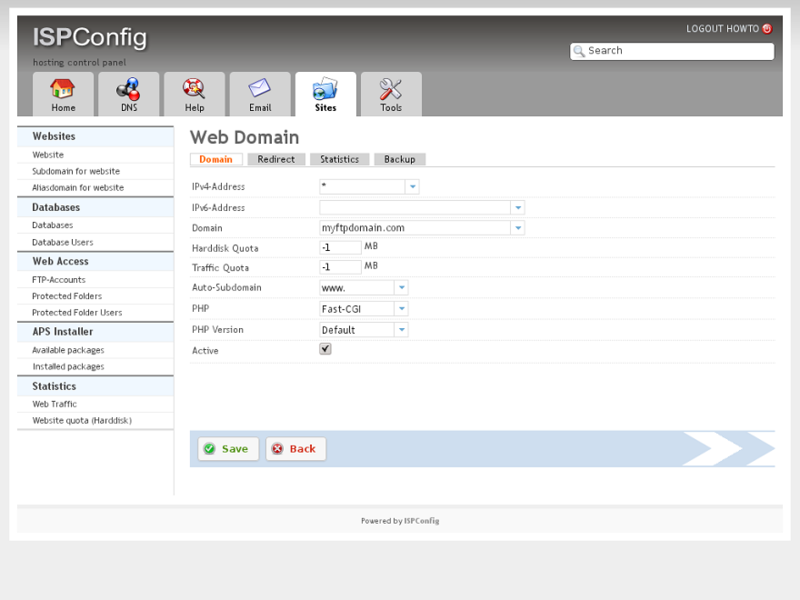 Click on the "Add new website" button and enter your domain in the "Domain" field. Then click "Save". Log in to your server via ssh and change to the website path. Now download the latest version of pydio from http://pyd.io/download/ or directly from sourceforge. At the time of writing this, version 5.2.1 is the most current. Do not use the distribution packages! Only use the tar.gz or zip! Download and extract the package. Then rename the extracted directory. Don't forget to alter the owner of all the files to match the owner of the website. In our case these are user web2 and group client1. You might have to alter the value to match your local system, e. g. change it to en_US.UTF-8 or de_DE.UTF-8. 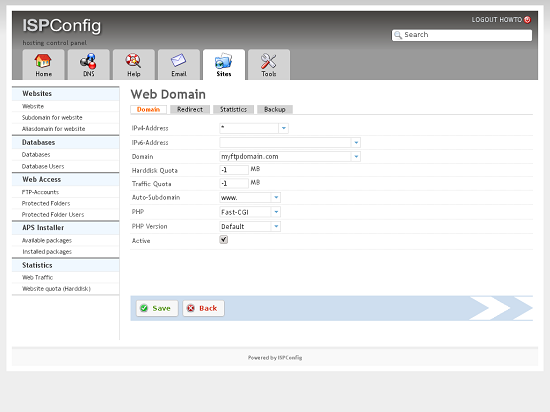 You should now be able to access the pydio installation at http://myftpdomain.com/webftp/. If you get some warnings there, check the text and correct them where needed. Then click on "click here to continue to Pydio". On the welcome page click on "Start wizard!". Fill the fields according to your needs. Do not enter anything here. Then click on the "Install pydio now" button. After a few seconds you should be redirected to the login screen. Log in with the admin user and password you entered in the previous step. 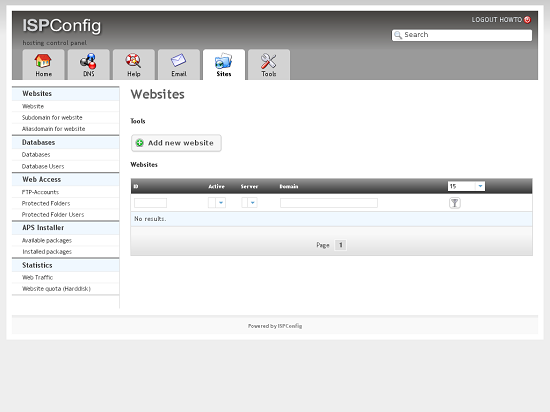 On first login you will get a choice of what workspace to use. Select "My Files" and check the "Use this workspace as default" box. Then click "Enter". Cannot find user, please try again. Make sure your Caps Lock is not engaged! Awesome tutorial, thanks. Minor typo, plugins/auth.ftp/manifest.xml should be plugins/authfront.webftp/manifest.xml in my version of pydio. Can you provide the tutorial for latest version of Pydio? Can i get pydio 7 working with ISPConfig? 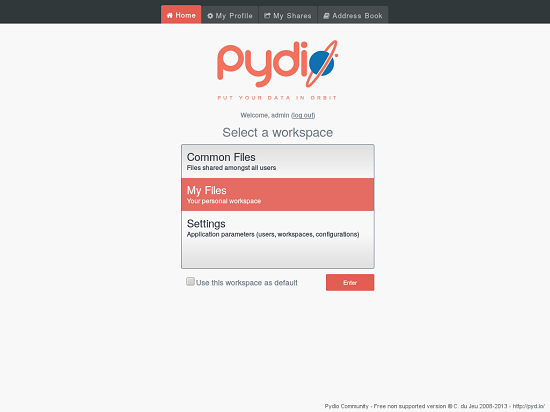 Pydio 7 seems to have just database Option when i try to install it.